Last week, a LinkedIn group sent me a white paper on the 2012 Social Marketing and New Media Predictions. One of it’s biggest claims? Google + would be big this year. Even though the social site launched this summer, many have been reluctant to “make the switch” from facebook, haven’t considered it, or perhaps started one but didn’t do anything with it (I fall in the latter category). The more I read about Google +, the more possibilities I saw for nonprofits. 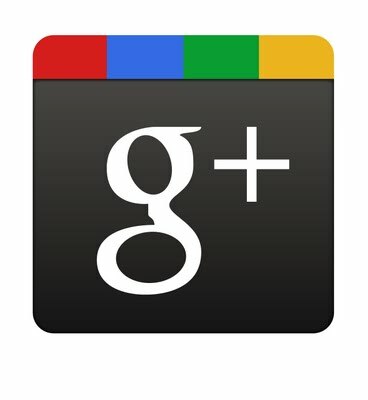 Google + is the perfect social networking tool for nonprofits. With all the different features, nonprofits can collaborate and create community among all the different groups of people they work with; volunteers, community based organization, the board, the people who they work with, and the public to spread their message. AND Google has created tools and ideas specifically to help nonprofits get started with this new social network. What could be a better fit? Let’s start with circles. As an organization, you can divide all the people you interact with into circles. Then, you can share information that can go directly to one circle, multiple, or the public. This doesn’t necessarily mean that you are trying to deliberately hide information from someone, but some things are much more applicable and pertinent to volunteers vs. your Board and vice versa. On facebook, you wear multiple hats as you try to appeal to the people you are serving, your volunteers, other literacy organizations, and potential volunteers. Google + allows you to create community without worrying about burdening readers with useless information. You can also use the Hangout feature to have video chats with multiple people. You can engage all of your volunteers in different lesson plan ideas or teach a lesson to the people you work with. It’s a virtual conference call that is free for anyone who can be involved. If you have interns at your site, you can an FAQ hang out session with those interested in working for your org and the interns currently there. Both of these tools, circles and hangouts, encourage collaboration and makes it fun over an easy/less confusing medium. Are you excited about this? Because I definitely am. The problem right now is that not many people are using it, so it cannot reach it’s full potential. And we all know, anything you want to happen must start with one. SO, You need to step forward and start this for your page if you want it to happen. Encourage your co-workers to jump on board and tell their friends. Highlight this new page to your volunteers. Spread the word! It can happen and you can do it. Here is a “how to” page to get you started. And don’t forget to add us to your circles once you start! This entry was posted in Florida Literacy Conference and tagged google plus, nonprofit, nonprofit best practices, social media by Florida Literacy Coalition. Bookmark the permalink.